A horse suffering from Strangles. The bacteria causing strangles in horses has been found to survive in a bucket for up to 34 days, British researchers have learned. A new study on the environmental survival of Streptococcus equi, the organism responsible for strangles, found that the bacteria survived longest in wet, humid, and cold conditions. Researchers say that the bacteria shed from an infected horse may represent a significant source of contagion and further knowledge of bacterial survival under different conditions is important for disinfection and isolation protocols. 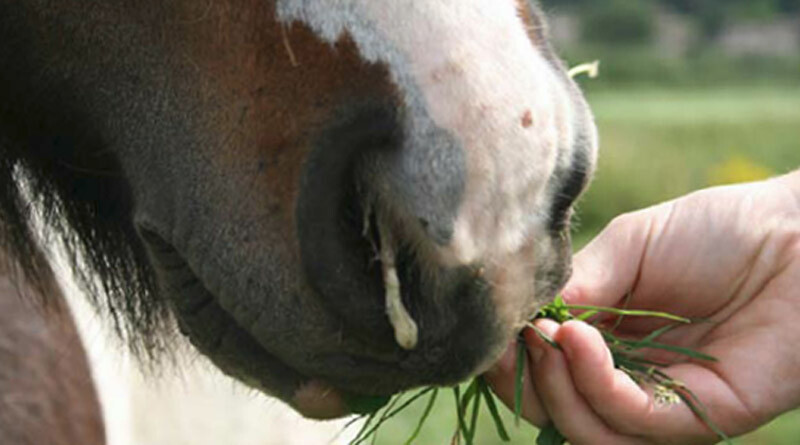 The researchers inoculated S. equi cultures onto seven surfaces found in veterinary practices or in stables, and took serial samples to see how long the organism remained viable. The test surfaces included a wet plastic bucket, a dental rasp, inside a naso-gastric tube and a fence post in both summer and winter. Samples were taken frequently from each of the inoculated sites and cultured, until no viable bacteria were found. Inoculated surfaces were kept out of direct sunlight for the duration of the study. The researchers found that the bacteria survived longest in wet, humid, and cold conditions, while survival tended to be short in the summer (up to 9 days in wet sites and up to 2 days in dry sites. S equi was recorded for up to 34 days in a wet bucket in the winter. The most vigorous growth was obtained from inside a moist naso-gastric tube, where the organism survived for up to 21 days in the winter. The study led by Professor Andy Durham of The Liphook Equine Hospital and a member of the European College of Equine Internal Medicine has been reported in the Equine Veterinary Journal. They concluded that S. equi may survive in the environment for far longer than has been reported previously: “Although survival in warm and dry locations was detected for only up to 2 days, in wet and cold indoor conditions S. equi may remain viable for more than 30 days. Strangles – what are the symptoms? It’s important to know your horse’s vital signs (temperature, pulse, respiration rate) to help spot when something is wrong.